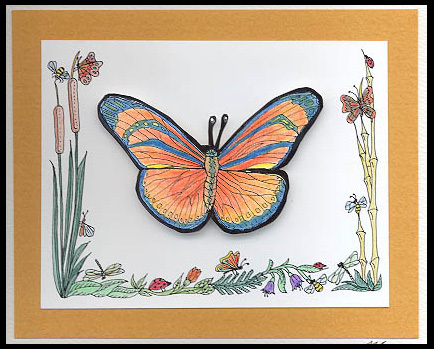 Stamps used are “Butterfly #2, Lg.” and “Frame #23, Cattails & Bamboo”. Images are stamped with a black Memories pad and colored with pencils. Card by Mary Connaway who also drew the images.